Oh beautiful Stockholm with its sparkling waters, lush greenery and quaint little streets. Find out what makes the city tick, experience its unique air – just like the Stockholmers themselves. Swedish courtesy is legendary. They thank you for everything, absolutely everything. A Swede would never think of accepting a service without expressing a friendly tack. The person addressed expresses his gratitude for the thanks with “tack, tack”. And if someone wants to be particularly affable, then he says, “tack, tack, tack” to the person who has just thanked him. Even if this seems a little excessive, just play along, it pays to be courteous in Sweden. But beware: Don’t interpret this friendliness as an invitation for excessive bonhomie. Swedes appreciate a certain amount of restraint. Stockholm boasts a unique location between Lake Mälar and the Baltic Sea. That is why it is so rewarding to look out across the city. There are countless ways to do that. The most well-known option is the view from the City Hall Tower, but there is also a beautiful view of the Old Town from Fjällgata street or Monteliusvägen path in the Södermalm district. And then there is also the SkyView from the roof of the Ericsson Globe and the viewing platform of the radio and television tower, Kaknästornet. Stockholmers love the water and the skerries. Many of the capital’s inhabitants have a weekend house out on one of the islands, which they cross over to in their own boat, on the ferry, or aboard an excursion boat. Why don’t you stay a few days? You can also rent holiday homes on the skerries. Part of the Stockholmers’ new savoir vivre means that shopping no longer entails just wandering through a market hall. A canapé here, a titbit there, a food sample over there: Stockholm’s everyday snacks have also been transformed into refined street food. The market hall on Östermalmstorg is particularly popular. Strandvägen is the most prestigious boulevard in Stockholm. Many stars and starlets stay in the magnificent buildings overlooking the sea. As do Sweden’s well-to-do. The ship restaurants along the quay are the meeting place for everyone who wants to be seen sipping on a glass of Champagne. Why not join the cool crowd, don your sunglasses and order a glass of bubbly yourself? Those who only want to watch from the sidelines can sit on one of the numerous benches along the promenade, buy an ice-cream and view the strutting vanities. It used to take a long time to find the in-districts in Stockholm. Going out was expensive – and anyone wanting to get into the upmarket bars had to get dressed up and join the long queue. Just meeting friends “for a beer” was not something people did. That changed a few years ago. In the nightlife district of SoFo you will find nice pubs and cafés, but you can equally dance your way through the night. The Kvarnen beer hall, which also plays a role in the Millennium trilogy by Stieg Larsson is particularly popular. A real Swede always has a song on his lips. Every Tuesday evening in summer, thousands flock to the Skansen Open-Air Museum for the Allsång to sing together. Even the TV crews are there. Even if you don’t know the songs, it is worth passing by. It would be difficult to find a more authentic experience of Sweden. Swedes are fresh-air fanatics. Regardless what the weather is like, they want to be out jogging, skiing, cycling or doing other activities. However, there are more relaxing alternatives for the hours outside: a picnic with a cinnamon bun and coffee, the Swedish alternative to cheese and wine. (Drinking alcohol in public is forbidden.) People love the Rålambshovsparken on Kungsholmen. In Rålis, as the locals call it, you are even allowed to barbecue on the spaces designated for this purpose, whilst the youngsters can take advantage of the skateboarding track. People who travel to Japan are usually looking for that special something in its exotic nature, its technology, its food and traditions. They want to experience how an entire nation can immerse itself in the collective intoxication of the cherry blossoms, and how the late-autumn leaves bathe its temples and gardens in a riot of colour. Visitors who are prepared to fly the long distance to the island kingdom want to relax in hot springs, enjoy the freshest raw fish, travel on the world’s most punctual train, the Shinkansen bullet train, experience the symbiosis between architecture, nature and man in its stylish gardens, and gain an insight into the future in its noisy high-tech districts. With Marco Polo’s insider tips you can truly immerse yourself in the unique beauty and culture of Japan. Despite the numerous scandals surrounding it, the Japanese love their national sport: sumo wrestling. The atmospheric highlights of this 2000-year-old wrestling match include the summer tournament at the Aichi Prefectural Gymnasium in Nagoya. The wooden terrace of Kiyomizu Temple, which is supported by hundreds of pillars, is one of Japan’s landmarks, and has the loveliest views of Kyoto. Calling all trailblazers! 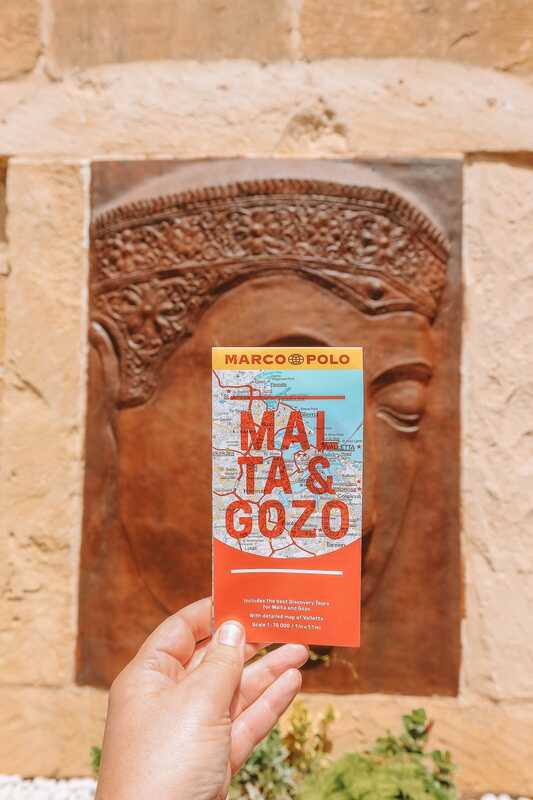 Marco Polo has never been one to follow the crowd: since we burst onto the scene in 2012 and turned the travel publishing world upside-down, we have been pursuing a quest to create the best travel guide possible ever since! Experience Cuba’s unique flair and find out what makes it tick – just like the locals themselves. In Cuba you can learn salsa moves or hone your skills almost everywhere – in the bars and dance clubs, at concerts, with the help of the welcoming team at the airport, or under the instruction of the teachers at your hotel. First you need to learn the basic steps so it’s “un, dos, tres”… the man leads and spins his dancing partner until you get dizzy from just watching them. It has become very popular to stay in a private Cuban home. Quite a few of these private rooms are now very well equipped. To experience a private stay, look for the blue sign (similar to an anchor) on the door. You will feel just like you are at home in the modest homes or in the elegant – a new development – casas particulares with lovely terraces, and sometimes even access to a beach or a swimming pool. Not only vintage car enthusiasts will enjoy the sight of all the classic American cars, with their glittering chrome, as they roll through Cuba’s streets looking as if they are part of an open-air museum. Many of the Cadillacs and Chevrolets are maintained with great care and polished to a high gloss. You will feel as though you are on a journey back through time when you are chauffeured through Havana. The Cuban coral reef is one of the largest and most species rich in the world. The south coast is popular with divers, especially the Isla de la Juventud. In sites like Cueva Azul and Tunel del Amor, divers swim among colourful fish, eagle rays and even turtles and explore the wrecks and canyons in the deep blue waters. Wearing a T-shirt with Che Guevara’s face on it is not enough to make you a real fan of the Revolution. So the “Adelante Comandante!” (Forwards, commander!) slogan makes the Revolution more tangible on a hike through the Sierra Maestra. Follow in the footsteps of the guerrilleros inland and pay your respects to the most famous rebel and his fellow fighters – such as at the Che Guevara monument and mausoleum in Santa Clara. If you are carried away by the pervasive rhythm of the congas and timbales, then why not take an introductory course in the art of drumming. Finding a teacher is not difficult – you can spot a real pro if he makes his pupils do fingers exercises to warm up before they start – all you have to do is ask one of the street musicians in the Callejon de Hamel pedestrian zone in Havana. It doesn’t get any more authentic than that. No Cuban would even dream of spending his holiday on a bicycle – most of the bikes have neither lights nor gears. But, if you decide to ride a bike, you will have plenty of routes to choose from: endless, at trails and even the motorways (where there is usually very little traffic) or more demanding serpentine roads such as La Farola at Baracoa. Some people never want to leave Cuba simply because of the drinks; Ernest Hemingway immediately springs to mind. You don’t need many ingredients to make a mojito, the national cocktail. Mix the juice of a lime with half a teaspoon of sugar, crush six mint leaves in the glass, add a shot of Havana Club Rum (Añejo 3 Años), fill it up with soda water and decorate the glass with a few sprigs of mint – this way, you will be able to keep on enjoying the Cuban feeling after you return home from your holiday.